How to check if BAdI is implemented? There are several possibilities to do that however almost none of them is really 100% check. I will go through them and will see that you can get out of them. 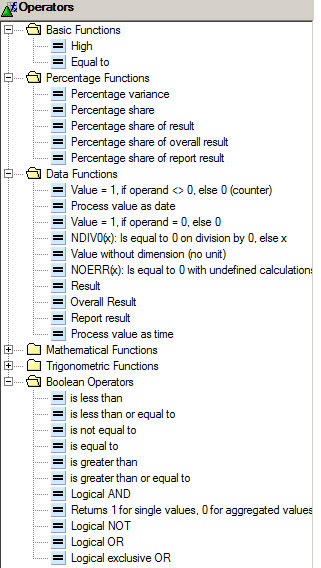 Using IF statement is very convenient how to evaluate the data. As usually BW developers are coming with programming background it is very obvious that they are looking into such statements. Although it is not very obvious from the very modest menu of functions in BEx’s formulas IF is possible it is just not easy to realize how this can be achieved.